Welcome to Cocktail Mania - cool cocktail mixing game for cocktail connoisseurs! 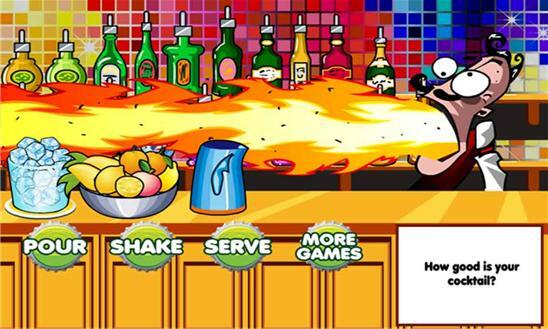 Pour, shake and serve! Our barman Miguel is in your hands, but watch out, he's a bit partial to a cocktail himself! Make a choice out of 20 drinks and mix them. 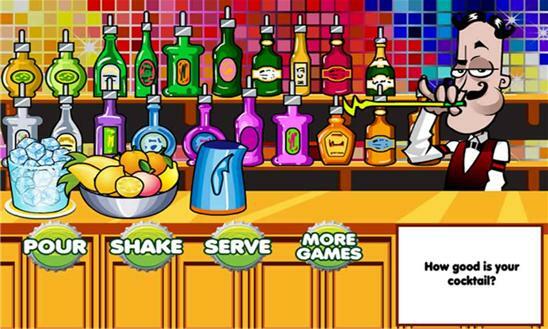 Serve the drink to Miguel the bartender and find out what he thinks about it. Instructions: Pour different wine, add ice cubes and lemons, then shake it. At last press serve, Miguel will give you a point. At first most of the win was locked(gray color), when you use the availble wine to achive a high point, some of the wine will be unlocked. The higher score you got, more wines you can use to achive a higher score. Your score will presented all over the world via , try hard to be the Mix Master.